Def: A simile is a comparison of two unlike things using the words like or as. 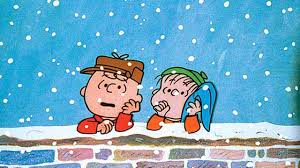 Ex: Charlie Brown's sarcasm makes you feel as cold as winter. Def: A metaphor is a comparison of two unlike things by saying that one thing is dissimilar object or thing. (Do not confuse with simile). Ex: You are my sunshine. Def: An exaggeration that cannot possibly be true. Ex: My backpack weighs a ton. One day Anthony was walking to school in the cold Autumn weather. 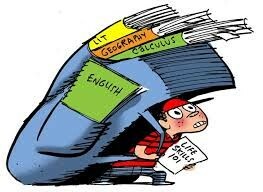 Anthony knew that he was going to be late for school because his backpack had weighed a ton(hyperbole). Once Anthony had arrived for school he was late he was running through the halls as fast as he could and had an approach with Darren an his words could cut like knives (simile) Darren had dealt with Anthony and they went to class. Anthony's day dragged on the be the longest day of his life, in math they changed seats and Anthony couldn't believe who he had to sit by... Darren the snot bombs in his hair was bad enough but now he had to sit by him. As the class took their seats Darren shot a smirk at Anthony(idiom). Anthony knew he needed to get out of that classroom so he went to the restroom until that period had ended. Before Anthony knew it the school day was over and he couldn't believe it the day could be turning around for Anthony and on the way home his backpack didn't even weigh seven pounds. 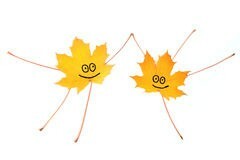 As Anthony saw the leaves dancing in the wind he took a breath of relief. When Anthony stepped in his house he realized he didn't have any homework. Even better, his mom greeted him with a thick blanket a fresh batch of cookies the whole couch to himself and his favorite movie marathon on T.V.